Three big changes affected the Canadian championship for 1974. Firstly, the rules were changed from Formula B, which had been inherited from the SCCA, to Formula Atlantic which, along with Formula 5000, was now officially recognised by the FIA as an International Formula. The main difference was that Formula Atlantic allowed the Cosworth-designed Ford BDA engine which immediately became the dominant engine and left the American SCCA Formula B runners uncompetitive. The second change was to allow non-Canadians to score points and therefore to compete directly for the championship, removing the nonsensical situation in 1973 when Bill Brack didn't need to compete with Alan Lader for overall race victories. The third change was that Brabham had stopped building customer cars so Fred Opert moved quickly to ensure his other dealership, Chevron, were in position to take over. 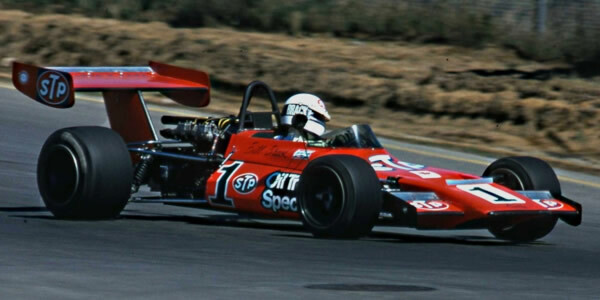 Bill Brack retained his Canadian Drivers title by winning four races, three in his heavily modified Lotus 59 and one in a Fred Opert Racing Chevron B27. His main competition came from the talented but underfunded Tom Klausler in a Lola T360. Alan Lader won the opening round at Westwood in May in George Sabin's Chevron B27 but this turned out to be just a a guest appearance. It is worth remembering that neither Chevron nor Lola had made any real impact in 1973 but were back at the front of the grids in 1974 thanks to energetic support from importers Fred Opert and Carl Haas respectively. The Chevron B27 was the dominant car of 1974, scoring 396 points in a hypothetical championship of makes and models. Second would have been the March 74B on 202 pts, then the Lola T360 on 117, the Lotus 59 on 98 and the Brabham BT40 on 73. Across all races, including the non-championship Trois-Rivières race, March built 66 starters, Chevron 61, Brabham 30, Rondel 21 and Lola 14.